Lauterbrunnen to Schilthorn: Much nicer than the tram ride! 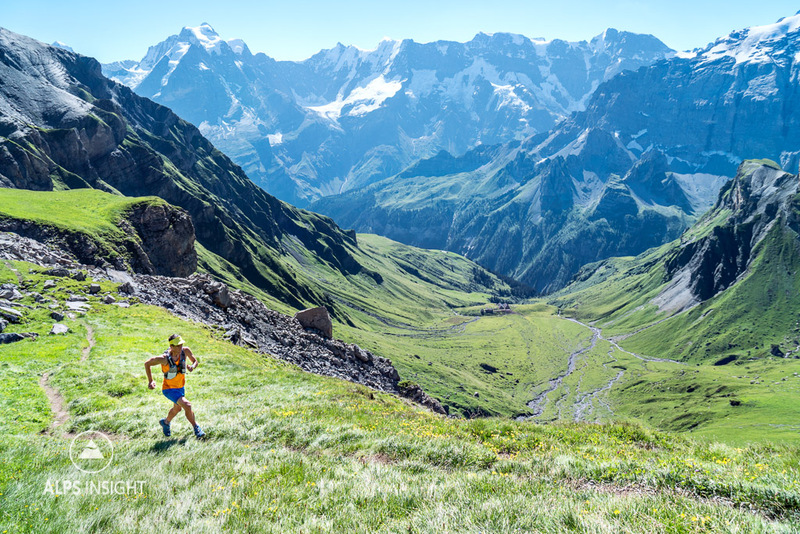 Many of us find trail running as a way to get away from it all. The mountains are quiet, peaceful, challenging and beautiful. When heading up the trail from Lauterbrunnen Valley to the Schilthorn, or Piz Gloria, this is all completely true. 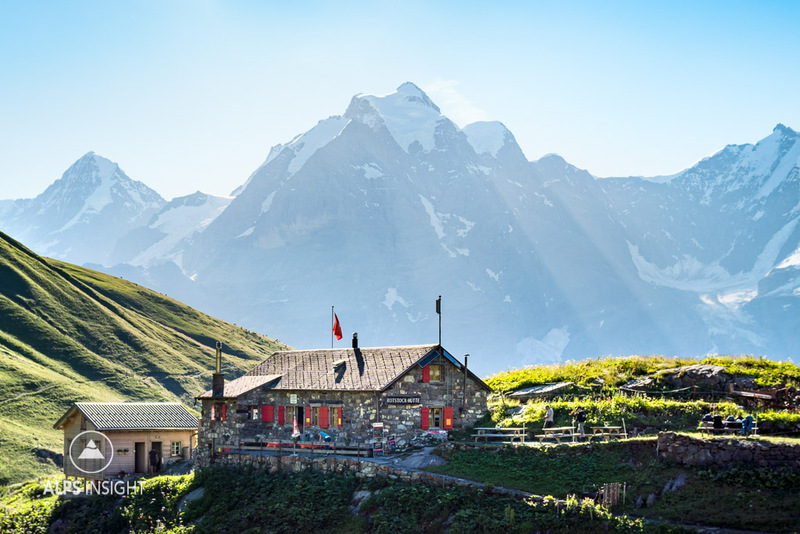 You have no less than 2000 meters of climbing ahead - plenty of time to settle in and enjoy the solitude, and to of course take in the surrounding views of the Jungfrau Region. This qualifies as a Way Up thanks to the sheer volume of vertical. 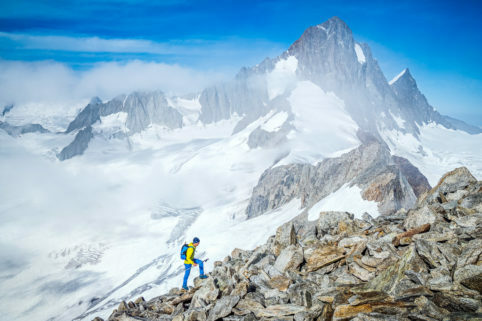 Besides some ladders near the top, this run has no technical terrain, making it the perfect introductory to how you feel on a Way Up. It's a Difficult run but an Easy Way Up. As you you leave the trees behind, it becomes immediately apparent that you are in for a show. To the southeast, you'll surely gawk at the mighty Mönch and Jungfrau as they prominently sit above Grindelwald and Lauterbrunnen. And what's the Jungfrau Region's skyline without the the Eiger itself? 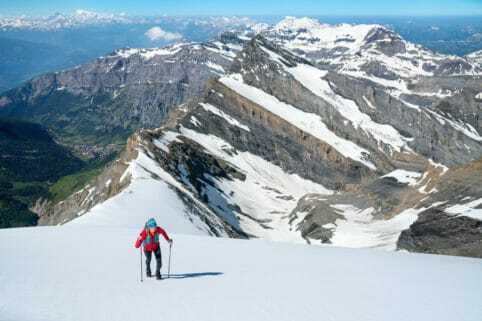 From the climb to the Schilthorn, you'll have a unique sideways view of the Eiger Nordwand that reveals just how commanding its presence is above Grindelwald. And finally, as you gain elevation, you'll begin to notice a sharply defined peak to the west that gets more and more dramatic as you leave meters below. This is the Gspaltenhorn, also home to a mighty north face. By the time you near the top of the Schilthorn, you've been sufficiently impressed. But with the top comes a change in scenery. You're about to go from silent single track to mobs of tourists wielding selfie sticks like battle scene swords. Thanks to having been Blofeld's lair in On Her Majesty's Secret Service, the Schilthorn is home to a James Bond museum that attracts tourists like moths to a lightbulb. Trail runners will most likely scurry through the madness, using their poles to fend off selfie sticks and umbrellas. Once safe on the south side of the station, a very, very long descent begins to Gimmelwald before it re-connects with the first part of the trail you started on. Thankfully, once you've dropped away from the summit station, things go back to what you came for. 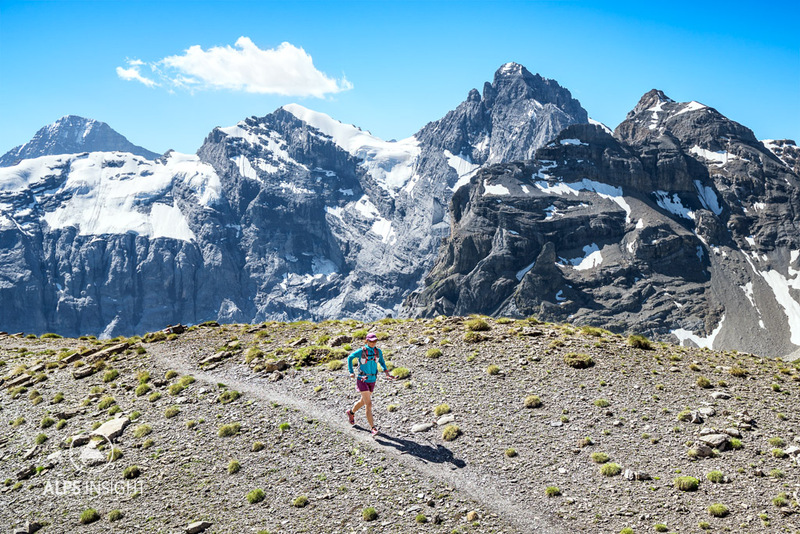 While you're in the region, be sure to also run: Lauterbrunen to Grindelwald Trail and Lauterbrunnen Obersteinberg. There's plenty of water for the plenty of meters you have to gain. The Rotstock Hut about half way up your climb to Schilthorn is one good stop. 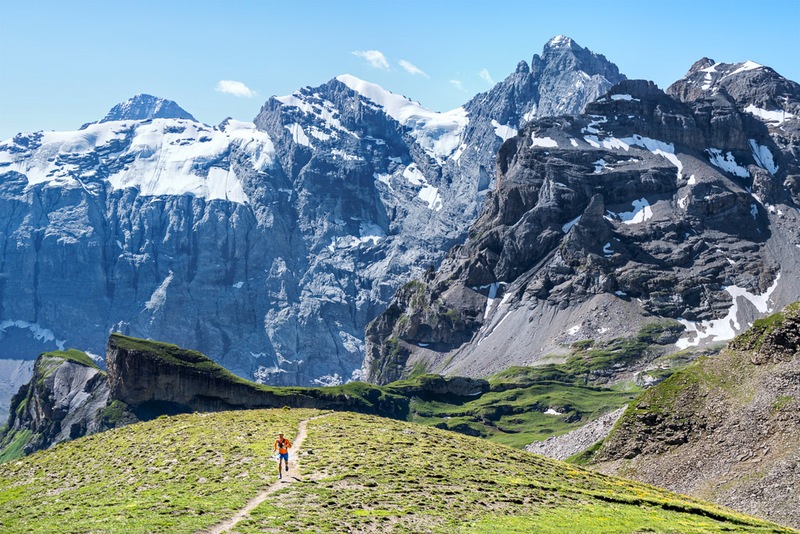 There are numerous ways down to Mürren and Gimmelwald, some more knee pounding than others. Also, both villages offer a bail out tram ride back into Lauterbrunnen Valley. A solid option after already putting the legs to the test. The Rotstock Hut comes about half way up the climb from Lauterbrunnen Valley to the Schilthorn. Dan Patitucci focusing on the trail rather than the views. Directly below is the Rotstock Hut while to the left is the Jungfrau. 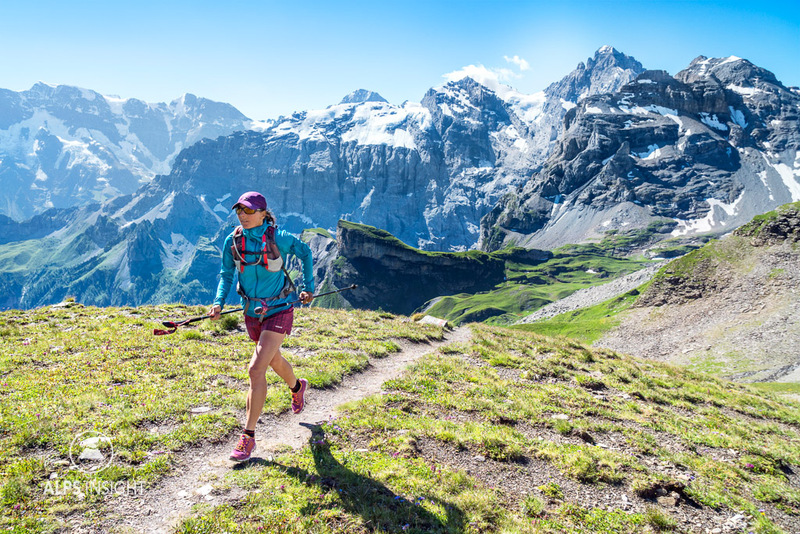 Janine Patitucci on the rare flatter trail as she nears the top of the Schilthorn. Janine on the even rarer downhill while going 2000 meters uphill. Behind is the 3436 meter Gspaltenhorn.